Beth Zamborsky began teaching at Carnegie Mellon University in 2002. 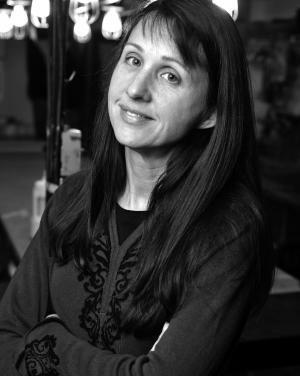 She teaches Scene Painting I & II, Freshman Stagecraft/Scene Painting, and Figure Drawing I. She also supervises the Paint Shop and the painting of the shows that are produced by the School of Drama. Zamborsky has worked as a Scenic Artist and occasional Designer for many years, in a wide variety of venues, including theater, television, film, and museum installations. Her theater experience includes repeated engagements as the Pittsburgh Public Theater’s Scenic Charge Artist, The Scenic Charge Artist at Chicago’s Steppenwolf Theater, Set Designer/Scenic Charge for the Pittsburgh Irish and Classical Theatre’s production of Faith Healer, and seasons as a Scenic Artist at the Santa Fe Opera, Pittsburgh’s Civic Light Opera, and many others. Recently, Zamborsky designed murals for “Frontier Texas!,” a regional history museum in Abilene, Texas. She was the artist in charge of special paint treatments for murals in the Carnegie Museum of Art’s “KIDSIZE” installation, and she was the Designer/Charge Artist of an installation in the “chaos” area of the Oklahoma City National Memorial Center museum.